The ALOGIC Prime Lighting to USB Cable lets you charge your iPhone/iPad/iPod and other lightning enabled devices by connecting to a USB Wall Power Adapter or a Computer. When connected to a Computer the cable will also let you sync you data between your device and the computer.Ultra Durable: Built to LastPrime Series Cables feature a durable nylon braiding and precision laser welding to withstand all testing stretching and yanking the cable might be subjected to.Premium Quality: Aluminium ConstructionThe cable also features Aluminium housing for each connector. 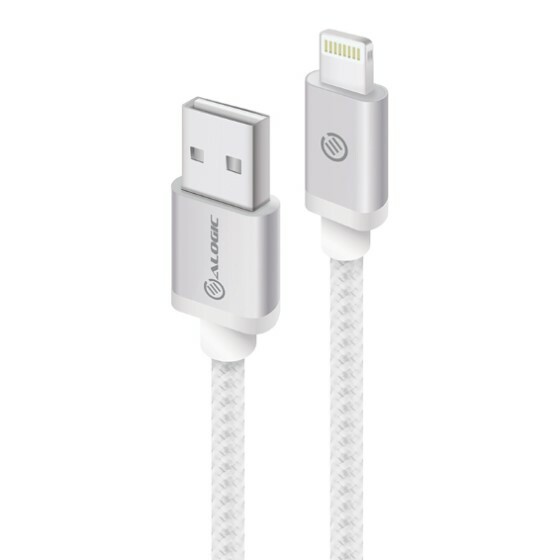 Aluminium construction provides an elegant design and makes the cable durable light and easy to use at the same time.Apple Certifies : MFiAll ALOGIC Lightning to USB Cables are certified by Apple under MFi. The cables can be used with all Apple products with complete peace of mind.Comprehensive Warranty: 2 YearsThe ALOGIC Prime Lighting to USB cables are backed by a 2 Year warranty.